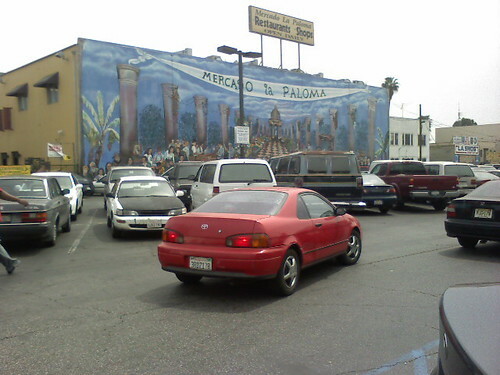 Hidden in plain sight in the Mercado la Paloma, Chichen Itza is located right across the street from the DMV near the USC campus. This place sells Yucatan food and sits toward the back of the market…you’ll firstÂ walk past the Oaxacan stand with the interesting looking desserts, vegan ice creams, and fresh juices. After a day of hard studying or after playing games of bingo with your friends or whatever it is you have been doing, you might be feeling peckish. This is the kind of place where you can come and know you can leave with a full stomach and satisfied taste buds. A vegan friend first told me about this place, but there is plenty of meat on the menu. 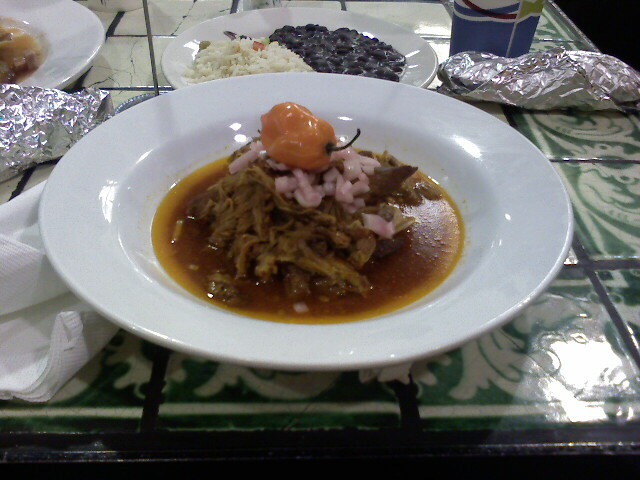 Pictured below the cochinita pibil which is a slow roasted pork that is served up with rice, black beans, and tortillas. There was a habanero chilie sitting on top of the tender pork that I avoided biting into – cause its just too many Scoville units for me to handle. Check out Chichen Itza for Mexican food that’s close to campus…it doesn’t smell like a horse stable like La Barca does, and it beats Chano’s when the sun is still out. According to their website, Chichen Itza has a location in Koreatown as well. Oh yeah, it’s pretty cheap too, considering the quality and presentation.